After you die, the person wrapping up your affairs may need to access your digital assets. However, in most states, executors and personal representatives do not have legal authority to do this. The best way to provide your survivors with the ability to access to your accounts and files is to leave specific instructions, including user names and passwords. The person who will wrap up your affairs after you die is often called an executor, but many states also use the term “personal representative.” Your executor will most likely be a person very close to you – like your spouse, parent, or adult child. You can choose your executor by naming one in your will. But if you don’t, the court will name one for you. An executor will have the legal authority to do many traditional tasks, like pay bills with checks, notify beneficiaries, deal with creditors, distribute your property, communicate with the courts, pay taxes, get death certificates, sell your property, and many other duties required to wrap things up. But none of these traditional tasks include managing digital assets. Learn more about The Executor's Job on Nolo.com. In most states, your executor will have no legal authority to access your digital assets. For most people, this means that your executor will not be able to get into your email, social media accounts, online banking accounts, sellers accounts, photo storage, cell phone apps, blogs, nor any other digital account or file. anything else that requires access to your digital accounts or files. Most state laws do not provide executors with any authority to demand access to these accounts, and the companies that control them have little incentive to provide access. In fact, most companies feel compelled to protect the privacy of the deceased person by not providing access to executors. Most accounts will remain subject to the terms of service agreement you signed when you created the account, and these almost always prohibit access by anyone except the person who accepted the agreement. All of that said, if any of your digital assets have a non-digital component to them, your executor will be able to manage the account using an executor’s traditional authority. For example, if you do all of your banking online, your executor won’t be able access your online account, but he or she will be able to contact the bank through the mail or by walking to a physical branch to request that they close your account. And if you bought your car insurance online and pay for it online, your executor will be able to call up the company to cancel your policy, but won’t’ be able to do that through the company’s website. Similarly, if your digital assets have a monetary value – like an online bank account, seller’s account, or gaming account – your executor will be able to demand that the company provide payment to your estate. But the company will probably just transfer the money and terminate the account, without allowing executor access as a user. Any data – photos, sales history, contact information – will be lost. An increasing number of some internet companies do provide away to give some control to a person in charge of the deceased person’s estate. For example, Facebook allows you to name a “legacy contact” who can change your profile and post a final message. But even with such provisions, the company will continue to control the terms of account, as well as any content that the deceased user added to the profile (files, photos, entries, etc.). So while there are ways for your executor to access some of your digital assets, the access will be slow or inadequate, especially compared to being able to access the accounts as a user. The easiest way for your executor to access your accounts is to get into them using your account names and passwords. This will allow your executor to use the accounts as you do, and eliminates the step of asking for permission (in those states that give executors authority to ask for permission). You can just leave these instructions in a letter. 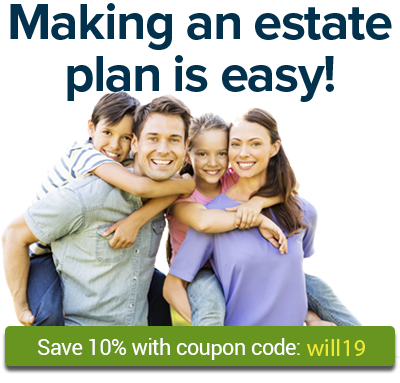 Keep the letter with your will and other estate planning documents. Your executor does not need this information now, but he or she should know where to find it when the time comes. Remember to keep your document up to date as account information changes. Additionally, if you have ideas about what you want to have happen to your digital assets, you might consider leaving your executor instructions about that too. For example, you might want your executor to pass all of your digital photos onto your sister, post a special message to post to social media, or maybe just delete every possible trace of you from the internet. The more detailed your instructions, the easier it will be for your executor to follow through. Some people don’t like the idea of their executor nosing around their digital accounts and files after they’re gone. Those who prefer privacy certainly should not leave a letter detailing how to access accounts. But, further, they should also understand that the law is moving toward giving executors very broad powers over a deceased person’s digital assets. In states that pass these broad laws, your executor may be able to get into accounts that you consider private. As these laws develop, the right to privacy after death will be a hot topic. Stay tuned, and if you want to take steps to protect your privacy, get help from a lawyer who is on top of this issue.